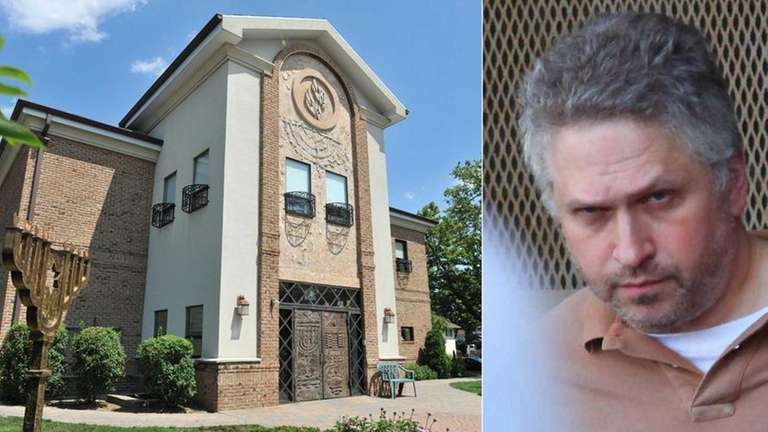 The former treasurer of a Woodmere synagogue was sentenced Tuesday to up to 4 years in prison for stealing more than $634,000 from the congregation. Isaac Zucker, 49, will have to serve a minimum of 15 months under terms of the sentence imposed by Nassau County Judge David Ayres. Zucker, a Woodmere resident, had pleaded guilty in February to grand larceny in the second degree. Nassau County District Attorney Kathleen Rice said in a statement that she recommended a sentence of 2 1/3 to 7 years. Defense attorney Joseph Grob of Manhattan said he asked that no jail time be imposed. "The entire situation is a tragedy for both the synagogue and the Zucker family, and he hopes at some point to make the synagogue whole," Grob said in an interview later. Rice said Zucker had "violated the sanctity of a house of worship." "Mr. Zucker was fortunate enough to be placed in a position of trust, yet he abused that trust at every turn and made a victim out of every congregant," Rice said. The thefts took place between 2006 and 2011 at Aish Kodesh of Woodmere, where Zucker was treasurer, a volunteer position. Zucker's arrest on June 29, 2011, came days after his wife reported him missing and two weeks after synagogue leaders confronted him about $634,960 in missing funds. Zucker, who was free on $150,000 bail, was jailed immediately after the sentencing, his attorney said.